There really are more TV shows right now than ever before, with new ones appearing every day, or so it seems. 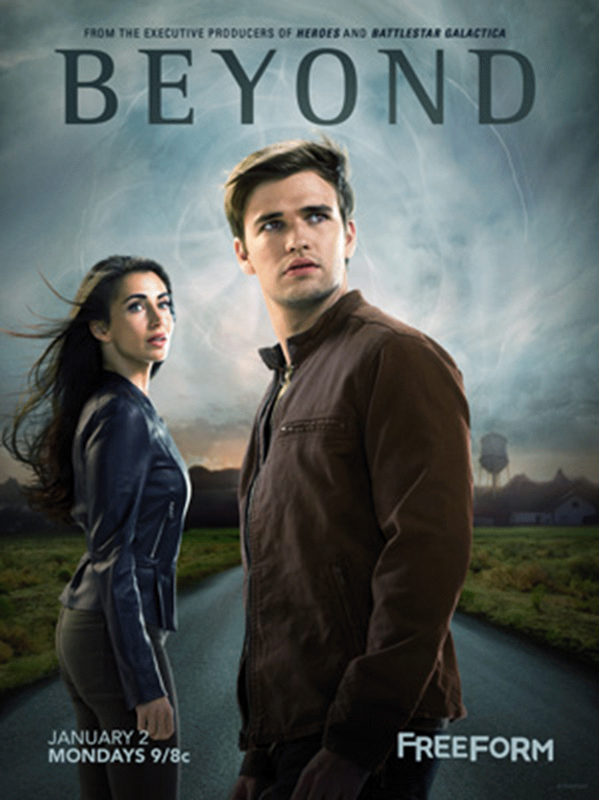 The first new show of 2017 that I've tried is this one and surprisingly it's not a Netflix offering either, arriving instead courtesy of ABC, and is another one of those mystery/conspiracy shows that are so popular lately. This one starts off by showing us two friends - Holden and Kevin (Duffield/Calloway), both 12 - hanging out one summer evening when Kevin's bullying older brother Jeff shows up, resulting in a chase that ends with Holden unconscious in a spooky wood. Moving forward 12 years we find that Holden has spent the intervening time in a coma - a coma that he is just now waking from, apparently with no ill effects. News of Holden's recovery spreads fast and he finds himself a celebrity in the small American town in which he and his bewildered family live. Or possibly a small Canadian town since the show is filmed there. Wisely ignoring doctor's orders, Holden's mother takes him straight home and their lives apparently resume as though nothing happened. Soon after waking, however, Holden finds himself having visions and dreams, all featuring the same mysterious man. He even on occasion wakes up in the same spot in the nearby woods where he fell into his coma to begin with, alarming his family as well as himself. It's not only locals and press that are interested in him either; it soon becomes clear that some rather more shady types are after him as well, headed by a determined-yet-capable gentlemen known as The Man in the Yellow Jacket (see if you can guess what his favourite item of clothing is). He and his employees believe that Holden has emerged from his coma complete with supernatural abilities, and of course they want to make use of them. As if all this wasn't enough, Holden is also contacted by a young lady called Willa (Gwyn) who claims not only to know him but also insists that they spent the entire time of his coma together. Good gracious me! Needless to say, Holden is somewhat sceptical about much of what he's told. There's no denying that something is going on though, and keen to help him find out is that pesky assgoblin who caused his accident to begin with - Kevin's brother Jeff who is concerned his sibling is missing. While this is undoubtedly a tumultuous period for Holden, and hardly the gradual reintroduction to society he might've hoped for, it does make for an exciting chase mystery, or at least potentially so. The cast is quite well chosen for the most part. I don't think I've seen any of them in anything before, and indeed some of them are seemingly complete unknowns, but aside from the occasional blip, they all do perfectly adequate jobs. Duffield isn't the most heroic or charismatic lead ever but he just about carries the story. 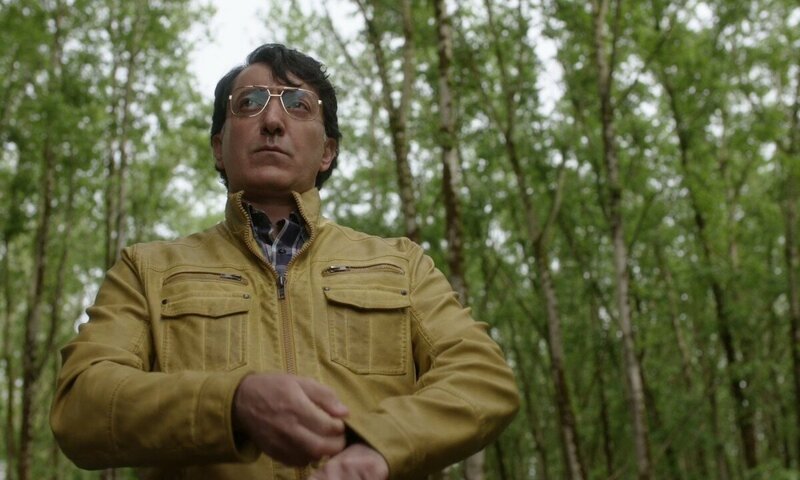 The standouts for me, though, are Peter Kelamis as Man in Yellow Jacket who comes across as cold and methodical and concerned only for his work, although he is humanised somewhat when we're introduced to his (secret) family, and also Eden Brolin as Charlie, a fiery young lady and fellow coma awakee with her own new (though less impressive) powers who is sent by the bad guys to 'get close to' Holden but almost immediately gets a little too close if you catch my drift?! No one is bad though, and the special effects, which unsurprisingly increase as the who wears on, are decent too. It's the format of the show that I wasn't so sure about. If I'm honest, the whole conspiracy chase thriller thing is in danger of overstaying its welcome a bit now. I mean, it can make for some truly superb and very thrilling television but anything can get a bit tiresome. I'm sure you must know the drill by now - something crazy happens to some ordinary person who is then thrust into a dangerous and far-reaching conspiracy, usually with some sort of sinister government involvement, etc. As the title may suggest though, there is a little more to this show than that, and it's more likely to be your take on this that determines whether you end up liking it or not. 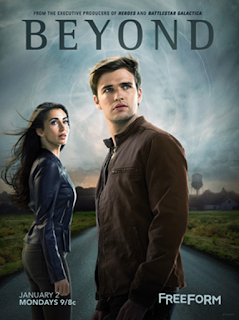 The creator and/or producers have drawn inspiration from numerous sources including a few fairly recent shows, but thankfully they've also had a few ideas of their own and I had no real issues with the subject matter which does indeed look 'beyond' the usual tropes explored by shows like this (chortle! ), but I did find the pacing rather uneven. For example, Holden apparently adjusts to his new situation quickly and with remarkable ease - and we should remember that mentally he's still a 12 year old boy, essentially - while at the same time apparently not accepting that he has any new abilities and pouring scorn on Willa's admittedly-unusual claims. Then, just as he's making progress he takes a little vacation with the infectiously-pleasant Charlie who also happens to be alluringly attractive as well, naturally! There aren't too many episodes either, so by the time all this has happened there isn't too much time left for the actual main plot. There is already little in the way of explanations - why this is all happening to Holden specifically, for example - and once things do get going they feel a bit rushed, especially the finale which was also rather silly for my tastes. Despite this issue though, it's still a pretty decent show. It's good fun for the most part and there are some great scenes in there - Holden's memory flashes tease of things to come and time spent in the mysterious coma world known as 'The Realm' is certainly interesting in particular, if not a little strange - and whatever faults it might have it did at least set things up nicely for the already-confirmed season two in a suitably foreboding fashion. Indeed, its mysteries kept my wife and I watching, even if we did end up with more questions than answers, and we will be keeping an eye open for the second season. Hopefully all the main cast will be back as they provide a decent mix of characters, but it would be good if the producers could flesh some of them out a little more and put a bit more thought into structuring the season a bit better as well. Perhaps we will even get a few answers if we're lucky.